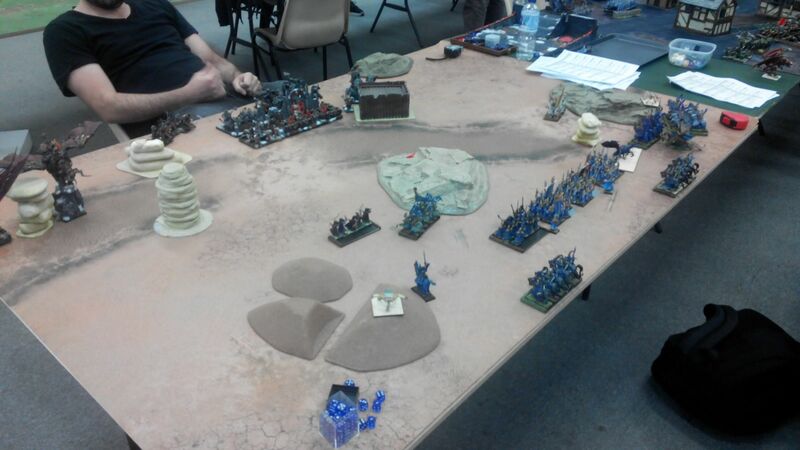 Last Saturday I finally made it to my first Kings of War tournament! 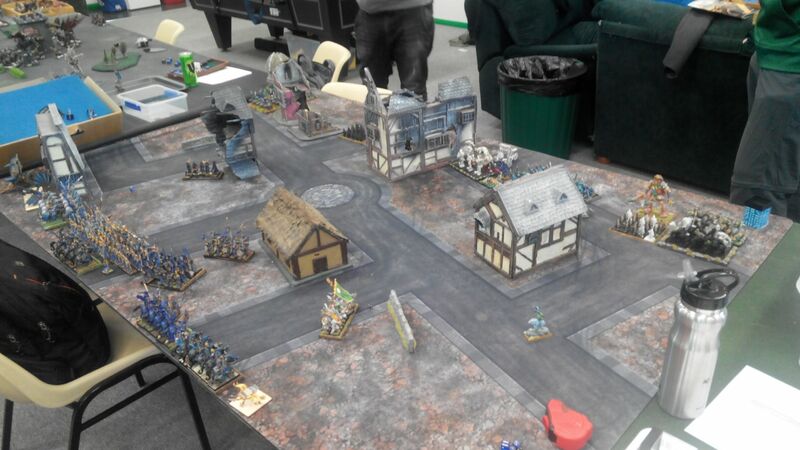 It was a local one day event organized by Dave who is a very active Tournament Organizer and thanks to whom I had so much fun in participating Warhammer related events in the past. 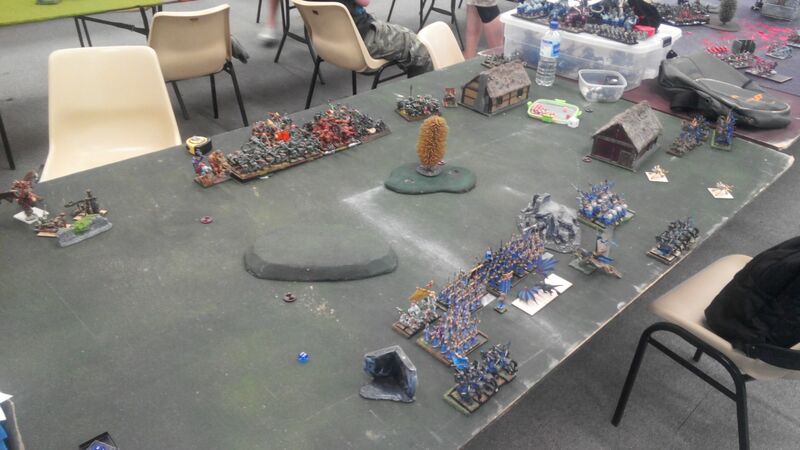 Many players in Canberra started playing Kings of War so Dave stepped up in again and keeps organizing the tournaments. I knew then that this one would be well led and I was very excited about seeing some familiar faces after such a long break (my last even was CanCon in January 2015!). I was naturally intrigued how I can do during the event because I have mainly played on Universal Battle so far. 1. 2500 points armies (Destiny of Kings characters are allowed). 3. Scenarios to be determined randomly before each turn, no scenario will be played twice. For me the most important part was about the size of the armies. I have been playing 2000 games so far and I had to check if I actually have enough models to boost my regular army to 2500! Fortunately I did and was very interested to check a few new units I haven't used so far! I was also aware that one of the biggest challenges for me would be to play fast enough to finish the game in 2 hours. 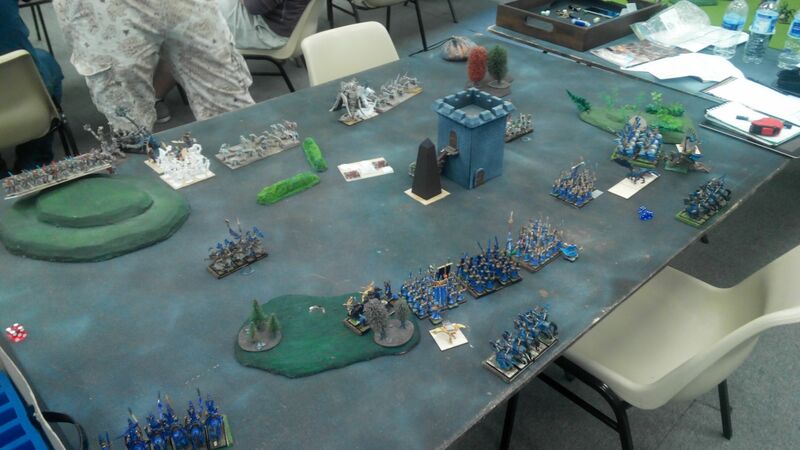 Veteran KoW players would probably say it is more than enough to finish a battle, even the one that lasts 7 turns. Hence, I would like to apologize my opponents here for being a slow player. I am sure, however, that I will get faster with more practice! I decided to upgrade my existing 2000 points army with more units mainly. I will add some more comments on the way I see people composed their own forces during the tournament later. However, I can tell you already that I noticed I don't use nearly as many heroes as other players. I think it is due to the fact I somehow feel better with units than individuals, even if I can see why people are so happy to use them. In addition, the amount of regiments does not allow me to take more anyway. I think we might have some good discussion later, however, as I learned quite a few things about the use of individuals in particular and characters in general. I upgraded one troop of Palace Guard to the Regiment, Archers to Gladestalkers and added two troops of Hunters as well as a mounted King. I also decided to try out Scrying Gem. I was a bit limited to the models I could take. I was thinking, for example, about third unit of fast cavalry for instance. I would not mind adding another regiment of Drakons and second Drakon Lord either. But I had a few WiP models there already and my army is currently in a big need of repairs so I decided not to go for more proxies than I had. On the other hand I was happy to use Hunters and Gladestalkers as well as mounted King too. The troops had Vanguard and Pathfinder special rules so I was interested in using these (and learning if I actually can!). The King was there because I thought it would be good to add another source of Inspire and he could be also quite good in disrupting enemy shooters, for instance. I had 18 elements in that army but was curious about Scrying Gem and its potential effect on the deployment so I included that artifact too. I must say I have never fielded an army with so many models. I brought almost all that I took with me when I came back to Canberra. 122 infantry models, 26 cavalry, 2 war machines and 4 large cavalry (at least in theory :)). As a teaser I am going to post the pictures of deployments from all games as well as what armies I played against and the scenario we had for that particular round. I will also add shortened army lists from memory, so forgive me if I missed some details. I will see if I can obtain the full army lists for the following reports later. What my attendance to the tournaments before showed me is that it is best to have simple plan, try to stick to it and see if it works. There are many variables that can affect the game flow and I still consider myself a beginner in Kings of War. From that perspective I was going to my first ever KoW event simply to learn from others as much as I could and to test what I played with so far. In addition it was my first attempt to play games with larger armies than 2000 points so I was very curious how much impact on the games that is going to have. What is more, I was about to play 4 games in one day, more than I have ever played on previous events. Interestingly, I haven't played all the scenarios yet so I was curious if I get the chance to play these that I haven't. And if yes, what would be the impressions after doing so. Another aspect I was interested in testing was the scoring system for the tournaments. One can think of it as a modified Win/Draw/Loss system but I was curious how does it work in practice. I hoped to play against new armies too! I haven't played against quite a few yet and even if it happened that I faced a force I faced before, it could have been something with a different composition. As it turned out I played against only one new army but the other 3 were different than the forces I played against before. Another aspect I was very intrigued about is the modelling and painting. I know KoW players are embracing the opportunity to multibase often and I was sure I could see some very inspiring armies out there. I will do my best to provide the reports from the event as soon as possible but I need to ask you for patience as preparing maps based on pictures often takes longer. I do hope, however, that it will be worth waiting for! Now I am going to move to creating maps for each turn (that should be quicker). I hope to finish the report in 2-3 days (mainly due to the fact I can spend only limited amount of time during weekdays on the hobby). Will be interesting to see how O&G list got on - looks like a good selection.